1. First Close Teamviewer, if it is running and uninstall it. Taskkill /F /FI "imagename eq TEAMVIEW*"
RD /s /q "%systemdrive%\Documents and Settings\%username%\Application Data\TEAMVIEWER"
RD /s /q "%systemdrive%\Documents and Settings\%username%\TEMP\TEAMVIEWER"
DEL /Q /F /A "Windir\TEAMVIEWER*"
5. Download soft http://www.technitium.com/tmac/ to change Mac Address. Note: Remember reset moderm if your IP is dynamic. To reset the TeamViewer ID, you need to perform a few steps. Pls follow this video. Buy YouTube Views – Instant Delivery! Muaviewstube Provides YouTube Views to your desired Video. our services will make you Trend!. PayPal Auto Payment is disabled for recently registered users. If you wish to use PayPal as your preferred method of payment, please send us directly a PayPal FNF payment (Min. 20$) to the email below and open a new ticket with your PayPal email, Transaction ID and amount sent. PS: We might ask you for more info before Enabling PayPal Auto Payment. Sorry, but it doesn't work. I did everything, but I'm still having this problem. Dear JoHoR : You can refer to link below. Not working still get 5 minutes warning. Hi Cool, Your IP is static or dynamic ? If your IP is dynamic you need reset moderm. I cannot get it to work either, tried rebooting. I am on a static, does this matter? Hi Joshua, I think Teamviewer already fixed , after you uninstall it you, you not necessary install, you can run it from teamviewer portable.It will be useful to you. I follows all the steps and I searched the entire registry for teamviewer, and deleted any entry found. This tutorial not working anymore. Please use UltraViewer ( http://ultraviewer.net/en/ ) instead of TeamViewer . 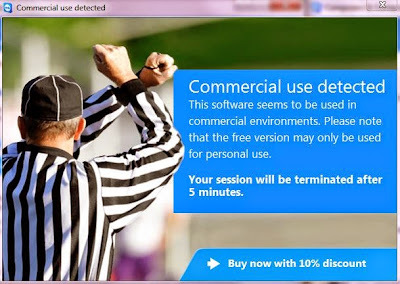 UltraViewer is a great free software that can replace TeamViewer. Thank you very much for complete tutorial.